Many thanks to the North Valley Art League and all those who submitted images into the NVAL 2017 Regional Juried Photography Show. Being chosen to view and select this work has been an honor. Thank you. When first seeing the photographs, I was delighted to see a wide spectrum of styles and approaches to image-making. Making no decisions at first, I simply enjoyed the work. Then, with the duty of “judging” at hand, my impulse was not to find reasons for rejecting work, but rather to note which ones made an inner “Wow” or “Yes”—terminology coming from a grandfather of graphic design, Milton Glaser, who stated: “There are three responses to a piece of design—yes, no, and wow! Wow is the one to aim for.” While photography is not necessarily design, the instinctive language of response resounds the same. For an image to be selected, it had to demonstrate a kind of excellence in visual communication. Camera skill, editing technique, compositional form, lighting, decisive moment, concept, uniqueness… these attributes in and of themselves can be fascinating, but what is most interesting for me is when some mix of these elements merge together and generate a metaphorical resonance between the subject, content, appearance, and even materiality of a work. This quality can vary greatly from image to image and is impossible to put into words—visual communication speaks non-verbally. But when it speaks well, it does summon that inner voice of affirmation. I hope that you, too, can hear the “Wow” and “Yes” singing through these photographs. Jon Lynn McCallum is a Northern California artist, having studied art at College of the Redwoods, Humboldt State University, and California State University, Chico, where he achieved an MFA degree in Fine Art Photography. Among several awards received as a student was the Hopper MFA Award for demonstrating “growth, accomplishment, and risk-taking” as well as “leadership and contribution to the campus and community.” While exhibiting mostly in Northern California, some of his works have gone as far as Virginia, where the renowned alternative photographer Christopher James selected some of his images, and even China for an International Photography Festival. Since his education, McCallum has been teaching art courses at Shasta College in Redding, CA, including graphic design and art history, keeping his observational and feedback skills sharpened through regular classroom critiques. While much of his work has been based in photography, he loves creating with all kinds of media: visual work made by hand or digitally, playing guitar, and writing. Experiencing difficulty with speaking as a child, McCallum has long delighted how the arts communicate in other ways besides mere talk. 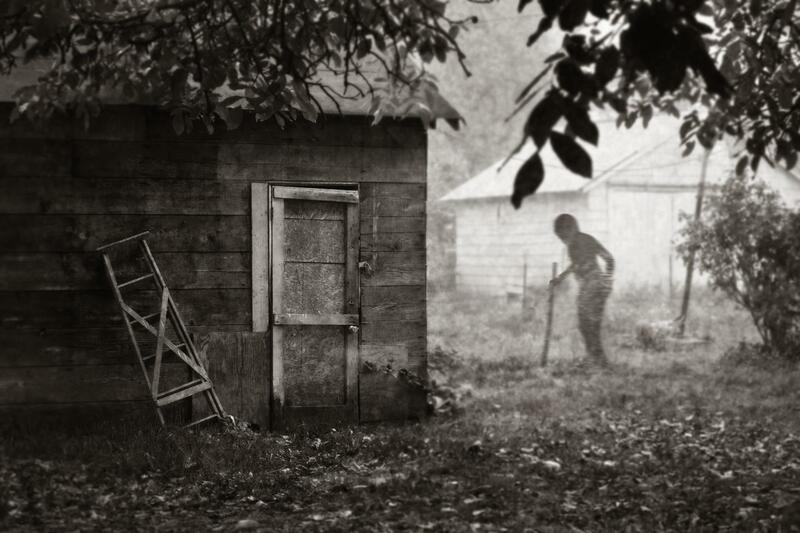 JUROR STATEMENT: I am most intrigued by this image’s sense of story—a distinct character in a distinct setting. Distinct, yet the figure is indefinite, the lower half of his body is covered with blurry, light streaks—cocoon-like. A young boy with a stick in his hand bears the same shape as an old man with a cane. Behind the figure lies an even more obscure object, where a dark pole extends at the same angle as the figure’s stick—an uncanny connection. The figure, gray in tone, is held between the lightest and darkest parts of the image, suggesting a kind of liminality which holds him between one place or time and another. This image does have a curious relationship with time—it could have been taken today, but seems more akin to something from a hundred years ago. Thus a sense of fiction pervades this photographic reality—a kind of tension also seen in the contrast between the dead leaves on the ground versus the ones still alive in the overhanging trees. And how curious is the most highly contrasted part of the image where these symbols of life are stark black against the white building, hovering over the boy, perhaps foreshadowing upcoming events along with the “X” of the ladder and the padlock on the door. Although the smallest print in this exhibition, the image beckons, offers clues, and hooks us into its plot. Like many good photographs, it leaves us to carry out the story on our own terms. JUROR STATEMENT: There is a straightforward, graphic beauty to this image—a pleasing array of gray tones, unified and softened by an overall grainy texture. The black bird may stand out as the most distinctive feature of the work, but this is not simply a picture of a bird. There is a restrained visual poetry here—in how the clarity and weight of the bird contrasts the mysterious orb of light and the dim silhouette of a tree. The bird, known for its ability to fly, is actually surrounded completely by earth. And the tree, known for being grounded and solid, appears thin and phantom-like, paradoxically more at one with the sky than the bird. 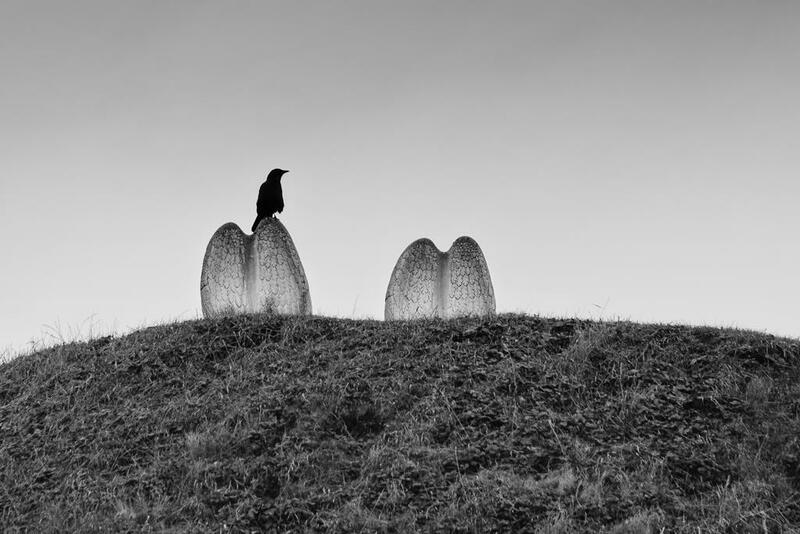 While black birds often carry symbolic significance, this image seems more suggestive of some enigmatic communication between the creature and its environment. If we keep looking closely, maybe, just maybe, we can decipher it. JUROR STATEMENT: Remarkably and powerfully composed, this image of fairly ordinary, though not entirely recognizable, subject matter is extraordinary. 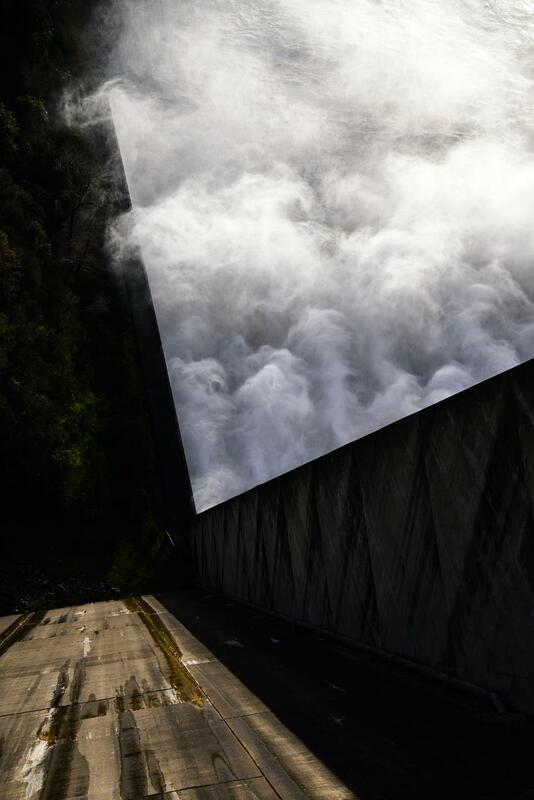 Countered by the hard, straight edges of a jagged, dark mass, these turbulent, misty, white forms are largely contained, and yet, ghost-like, they cross over one edge. The tension held between these antithetical elements invokes a sense of wonder and awe, while the mystery of not knowing exactly what I am seeing holds my attention. 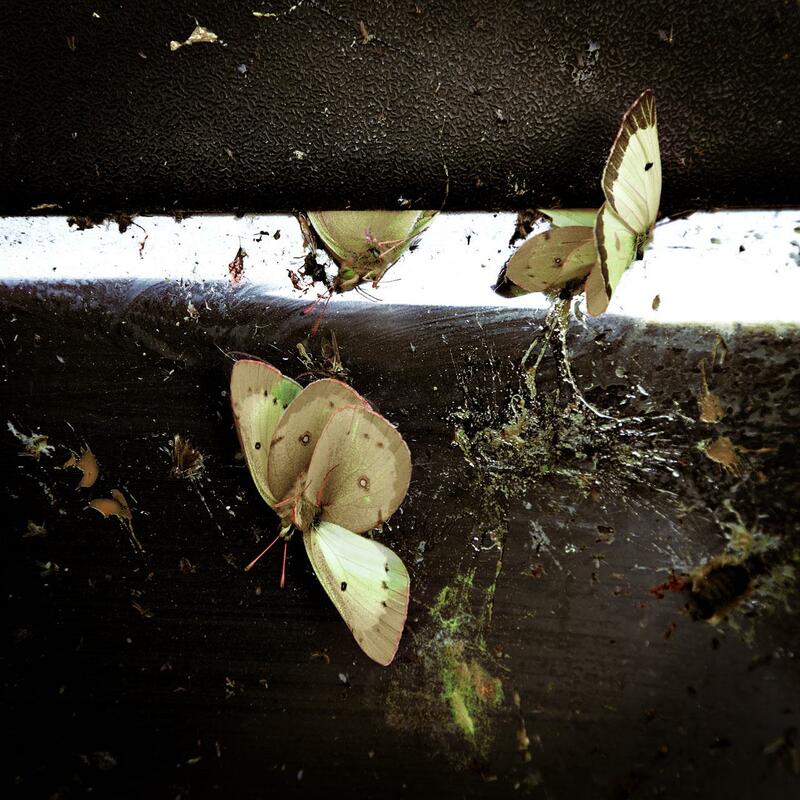 JUROR STATEMENT: I was first struck by the bold, white line cutting across the composition and how this contrasted the soft-yellow, curved shapes of the butterflies. Without yet seeing the title, I was slow to realize the unexpected—a scene filled with the guts of bugs. While compositionally engaging with such features as the recurring yellows, touches of orange-red, the rhythm and variation of the splats, the major force of this image is the juxtaposition of beauty and gore, a compelling reminder of life’s fragility. JUROR STATEMENT: While poetry can be found in how the once smooth-flowing surface of this man-made, decorative object has been pockmarked by rust, other enchanting qualities of this image include a strong integration of positive and negative spaces, an intriguing relationship of curves, a beautiful interaction between soft and hard edges, as well as the “something other-ness” emphasized by the work’s title. 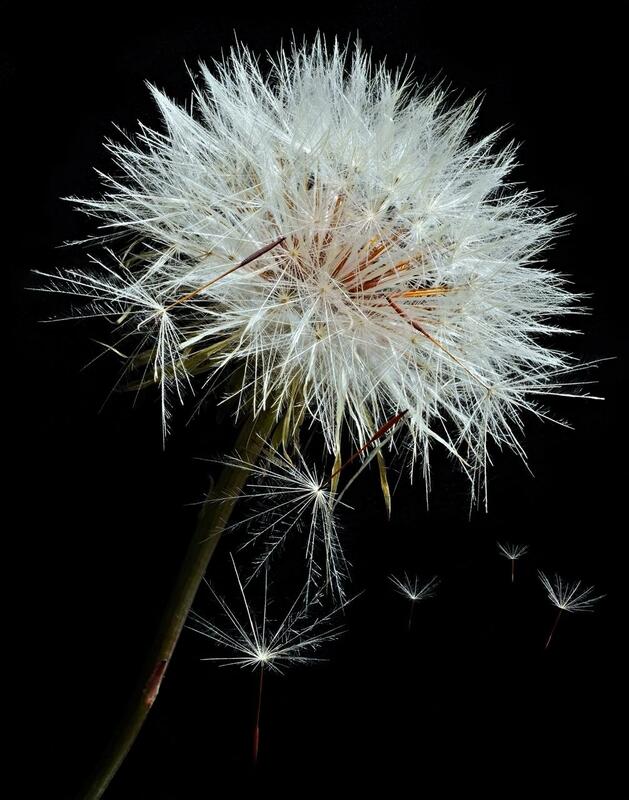 JUROR STATEMENT: The clarity of details in this close-up of a dandelion-like plant is remarkable, revealing a world we normally overlook. The beautifully soft, yet vivid, light glows upon this explosion of sharp, rhythmic, overlapping lines, dramatically emphasized against the black background. The lines by themselves are poky and menacing, but as a group they become soft and inviting. The point of poignancy, however, lies in the separated and falling seeds—like parachuters launched on a mission, they carry the promises of both death and life. 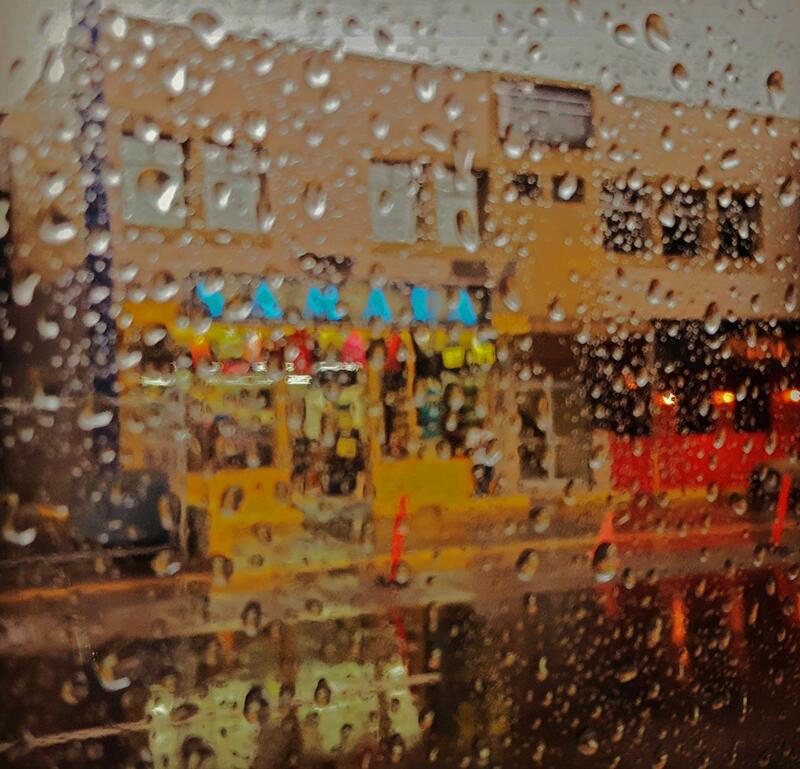 JUROR STATEMENT: Here, a common scene of a marketplace environment is transformed by water droplets clinging, presumably, to a car window. The drops, wonderfully varying in size and shape, unify the work, filling the image with little flip-flops of dark and light values. The organic quality of the drops counters the geometry of the man-made world with all its straight lines and rectangles, delightfully distorting the view, subtly rearranging its soft and saturated colors. The window, though itself unseen, is yet present, making this particular image possible—a reminder of the invisible presence of the camera lens, and even our own eye lenses, through which we see and delight in such lovely arrangements as this. JUROR STATEMENT: Gestalt theory says that viewers tend to take in the whole of a work before noticing the details. Here the whole is made up of three simple and separate parts: the black area at the bottom, the gray area of the sky, and then there is that curious rectangular shape floating in the sky, angled peculiarly as if it were flag hanging from the power lines. Looking closer, the mass of dark specks become recognizable. 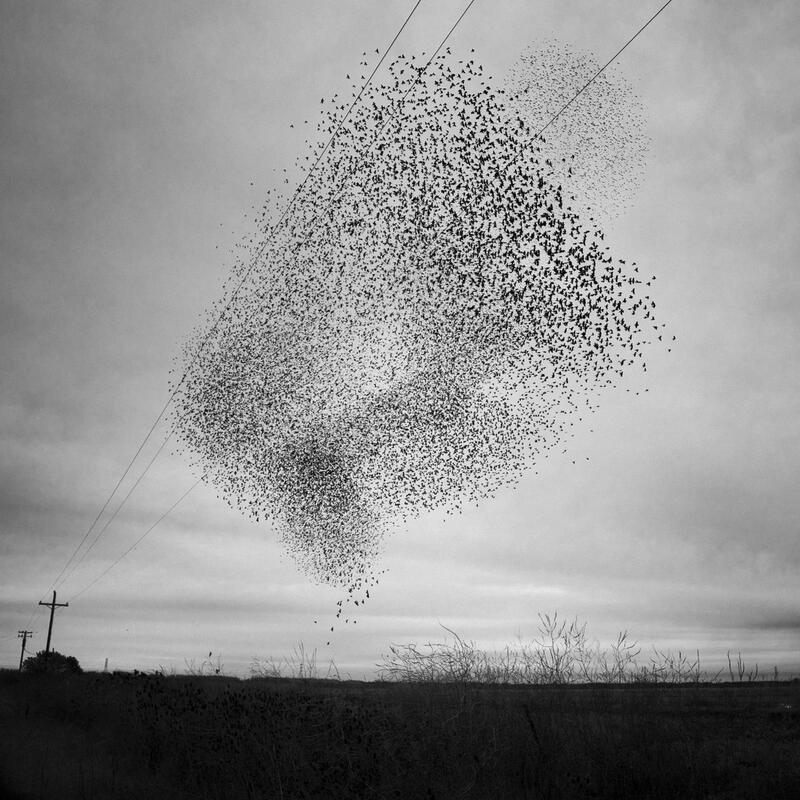 That a form like this could consist of living, natural creatures is amazing—each bird is simply a bird and yet as a group they form something else—an interesting shape and visual texture. Of all of the possible places they could be in the entire sky, here they are, in this moment, captured by this photograph—a living, flying mass of wonder. JUROR STATEMENT: This image mesmerizes. Superbly balanced between abstraction and representation, certain elements are recognizable and yet we struggle to find our earthly bearings. 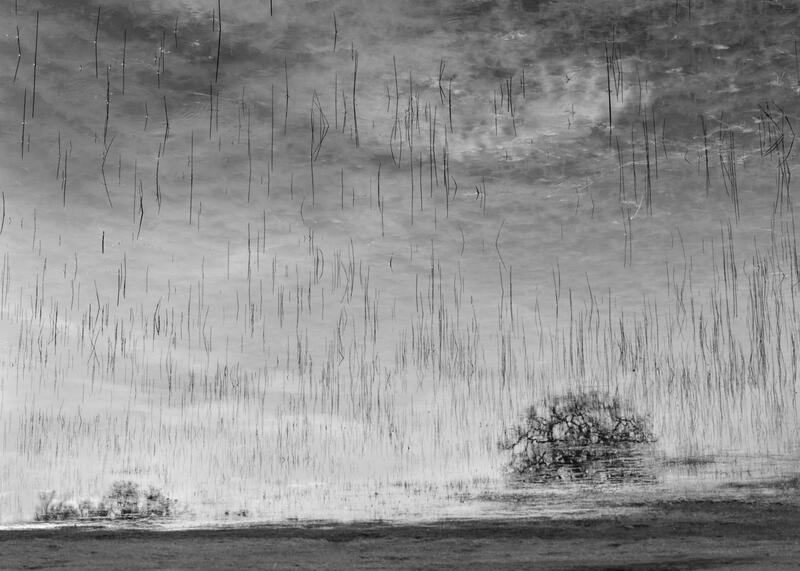 Part of the fascination is found in the many vertical lines of varying size and degrees of straightness—all so similar and yet each unique—and with the reflection each is connected to a flipped version of itself. The effect of the whole is as surreal as it is real. JUROR STATEMENT: I find myself captivated by this wall of textures, which, like rough, chunky glass distorting light, reveals as well as hides. 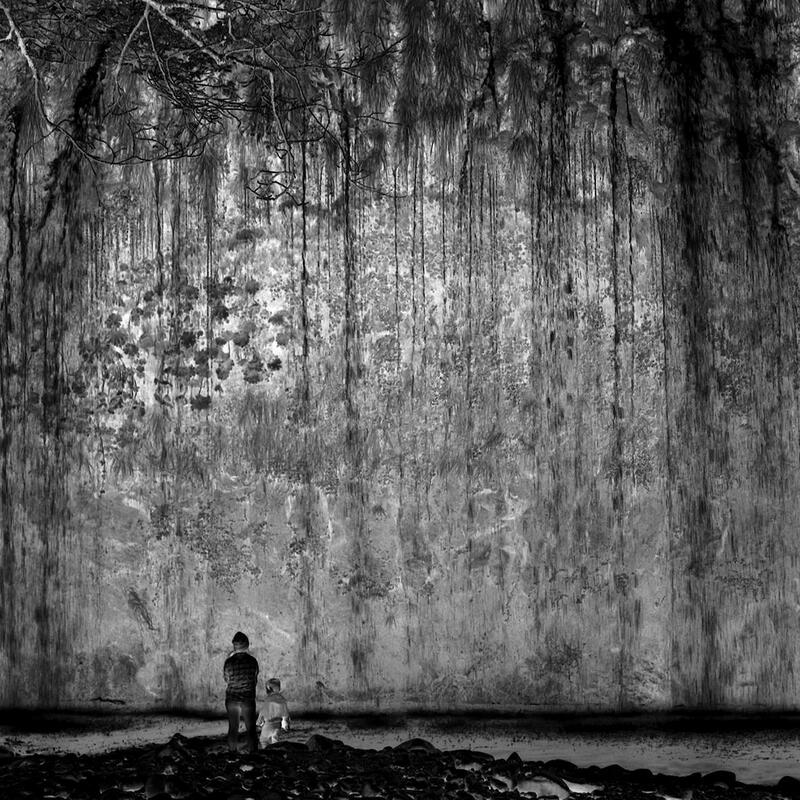 Made up of both identifiable and abstract forms, this vast wall confronts and compels, and could represent many things—any force which seems larger than ourselves, which seems to affect us more than we affect it. Like the two negative-as-positive figures, we can observe at a safe distance, trying to make sense of it all, or enter in and be transformed by its beauty, a mixing of inner and outer worlds. JUROR STATEMENT: I am amazed by how this simple composition carries such curiosity and complexity. The image, while interesting in terms of shape, texture, and composition, seems to be about “something more.” Is the sky just sky, the ground just ground, or is this some special meeting place between heaven and earth? The tombstone-like structures appear as petrified angel wings. But where have the angels gone? 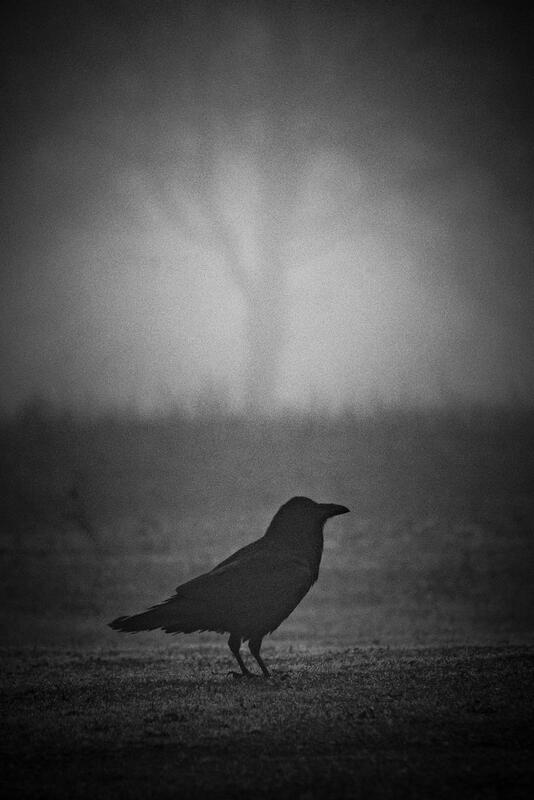 The black bird, perhaps, awaits their hopeful return, or, perhaps, delights in their demise, or, perhaps, wonders, just as we do, what has happened here. 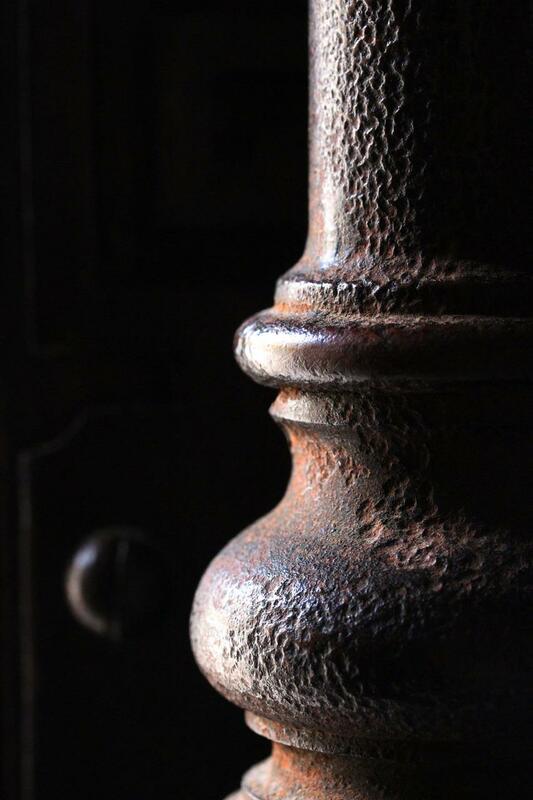 JUROR STATEMENT: This image fascinates not only in terms of its clarity, but also its strong contrasts of dark versus light and smooth to rough textures. 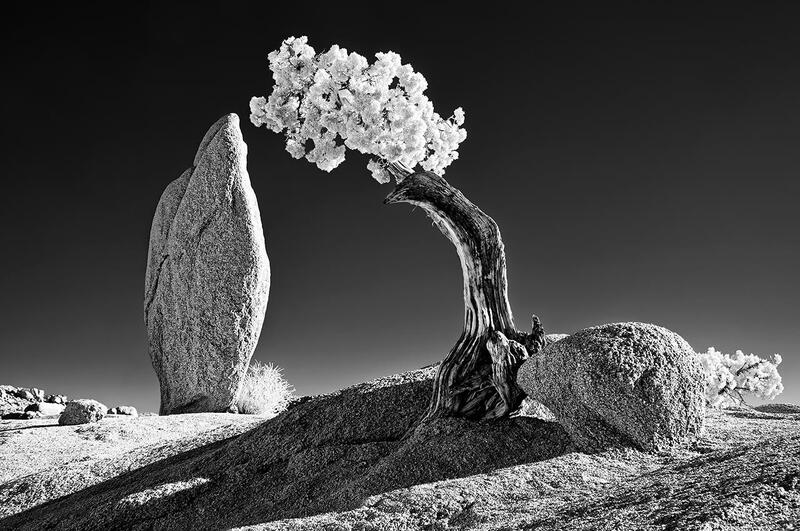 Then there is that curious animation of nature—the rock, though unmoving, seems to push the tree, and the tree seems to agree by leaning over and nearly touching the other rock. The work is metaphorical not only of the interdependency of the natural world, but of other relationships as well.